28716LF-SS is rated 5.0 out of 5 by 4. 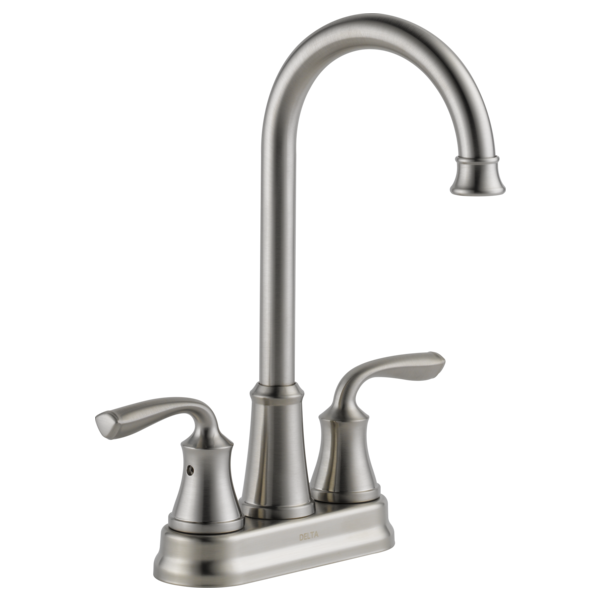 Rated 5 out of 5 by TomL from GREAT Faucet I like the faucet and it does the job, easy to install. Rated 5 out of 5 by megajoy86 from Product works well for needs Bought two of these products to replace faucets in a medical facility, they work well for our needs. 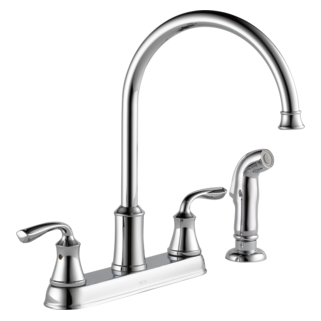 One handle on each faucet felt a little loose compared to the other tried to tighten with allen wrench but didn't seem to tighten, otherwise great product! Is there a way to make this faucet swivel only 180 degrees? Is there an extension that can go with this to accommodate a granite countertop? Is the thread size at the nozzle the same as a normal kitchen sink? I would like to connect a hose to the faucet. Do you sell a 3/4&quot;-27 to 3/4&quot; hose adapter? If not, where might I find one. I've checked Lowes, Home Depot, and another local hardware store. No luck so far. Is there an attachment that will pivot and spray/stream?